For many people, an existing conservatory becomes even more useful at Christmas time, especially when it comes to the conundrum of fitting everyone around the table when it’s time to tuck into the turkey, or even somewhere to retreat to for a few minutes of sanity when the kids are running riot with their new toys! Modern conservatories can be built in many different shapes and sizes, and are frequently used as an extra reception room, whether it’s for dining in, living in or for a combination of uses. Long gone are the times of cold, unwelcoming glass rooms that were primarily used in summer months. Now with underfloor heating, specialist blinds and just an overall more intelligent design process, the conservatory has become an invaluable, luxurious addition to the home. So, how do we go about transforming a room that is largely made of glass, into a homely, festive, winter wonderland? After all, if Christmas lunch is the focal point, your guests will be spending plenty of time in this room, so it needs to feel welcoming and comfortable. Let’s have a look at a few ideas to help with the holiday season overhaul. If you don’t already have a table in your conservatory, then that will be the first thing to organise. Positioning will be important, and if the table is usually situated in a corner or to the side of the room, it needs to be moved into that central position, hopefully allowing plenty of access for everyone. You may think that seating should be the last thing to worry about when simply decorating the table, but knowing how many will dine can help with the overall structure, and putting out place mats can help you map out your plans. Once this is sorted, you can think about the actual table decorations. You might have a really impressive centrepiece for the table but if it’s too high, your guests might find it difficult to communicate, which in turn will ruin the atmosphere you have strived so hard to create. Something a little less bulky, made from a combination of tea lights, woody cones and red berries will deliver the Christmas touch with warmth and colour without dominating the table. You can have fun (and impress your guests) with table cloths, mats, serviettes and holders and you could even make your own themed place settings. How about a pine cone, wrapped with a beautiful ribbon and name card, hand written using gold or silver ink for the finishing touches! Baubles in clear bowls is another simple yet effective decoration. Of course, your table decorations should be very much influenced by the rest of the room, assuming you have gone to great lengths to make the room look spectacular. To create a truly modern feel for your conservatory room, you may need to be brave! For example, if you have a Christmas tree in the room (who doesn’t? ), a black one would make a really effective back drop for bright colours. A black Christmas tree isn’t everyone’s idea of fashionable. However, it will certainly look modern and stylish! When using decorations, choose bright colours such as a vivid pink. Along with blues, purples and greens, they will not only work but make a striking impact for your table colours, tree and accessories. For many, there is nothing quite like a traditional Christmas theme. Often magical and comforting, it’s a great combination. Choose a real tree (rather than artificial), hang stockings up with old fashioned pictures of Santa along with gold decorations, lots of pine cones, holly and red berries. At the time of writing, woodland themes are considered very trendy within the world of interior design and it’s a theme than can easily be combined with that old traditional feel, giving you that modern-retro vibe. Ideas? Fabrics, surfaces and ornaments featuring deer or even reindeer are available in many shops and combined with a blanket on an easy chair, some fur cushions and a sheepskin rug, you will have complemented the theme perfectly. your Christmas conservatory. Using soft pinks and metallic colours will help to create a magically soft feel with perhaps a white or even silver Christmas tree and a ballerina instead of a star, for elegance. White or silver wreaths, lots of fairy lights, a bird cage or two and flourishes of silver throws and cushions should finish things off nicely. So, once you have your theme, your table centrepiece, your fabulous tree and accessories sorted, it will all be coming together. Lighting is perhaps the final piece of the jigsaw. White fairy lights will work with any theme and can feel even more enchanting at this time of year. Hang them along the windows and drape around mirrors and pictures. Battery operated rice lights can even be placed on the table. Most of all have fun decorating your conservatory for Christmas! The entire team at Foxfurd would like to wish everyone a very merry Christmas and a happy new year! It might be a little too late to have a new conservatory built in time for this Christmas and it’s not really the kind of thing Santa is going to get on his sleigh, let alone down the chimney, but that doesn't mean that it shouldn't be on your Christmas wish list. A conservatory for Christmas can actually be a great idea for many different reasons. Not only will it deliver you (when built) the extra living space you have been craving for so long but it can also be used to great effect each Christmas time, when you are trying to squeeze all of those extra family members around the table for dinner! 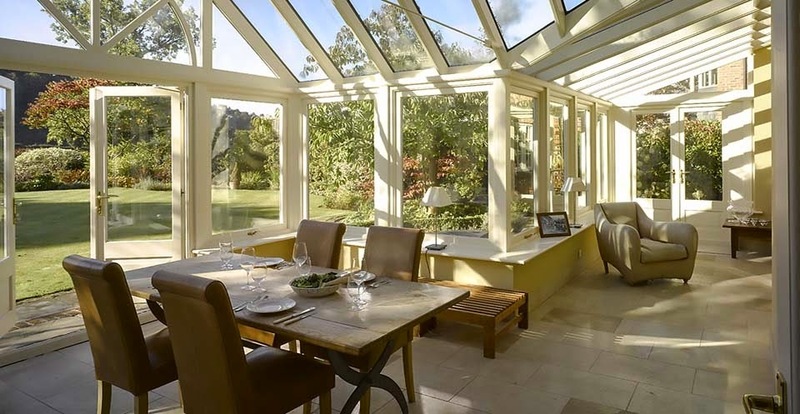 A conservatory can be used for a range of purposes but perhaps the most popular ones (at least from a Foxfurd point of view) involve creating extra dining or living space – either by extending an existing area or starting from scratch and dedicating the whole new extension to that one, new, chosen purpose. As families grow, so does the need for extra rooms or just some more space and with Christmas being very much a family time, homes are usually overflowing with grandparents, grandchildren, aunties, uncles and friends too. You just know that next year, Christmas will either have to be at someone else’s place or you need to do something drastic in your home to get them all in! What is your greatest need - not just in the holidays but all year around? Do you love to host dinner parties and show off of your latest culinary masterpieces? Then perhaps a new spacious dining area will suit your purposes best – giving you a chance to finally unfold the extra sections of your beautiful dining table, which until now have remained hidden because their simply wasn’t enough room. What a treat it will be during the festive season too – when everyone can dine around the same table rather than having the kids eating off their lap or having to set up a smaller table in another room to cope with the overflow of people. If it’s more about having space for the grandchildren to play in, while all the adults watch on and enjoy tea and coffee, then an extended or completely new living room might be the way to go. Choose your size and style, factoring in all of your requirements, knowing that next time the family gathering is at your place, everyone can exist in the same room in relative harmony! What a blessing the extra space will be at Christmas as the kids frantically unwrap all of their gifts, wrapping paper strewn hither and thither, spaceships swooping low over mum and dad’s heads and board games opened and discarded in every corner of the room! Most successful family Christmases require a degree of planning and building a high quality conservatory is no different. However, with Foxfurd’s help,each stage of planning and design can be pain and stress free as members of the expert team will guide you through each aspect of the process – being as “hands on” or as “hands off” as you wish. You may also need actual planning permission in order to construct your new extension (at the very least you will need to check to see if you need permission or not.) Again, if this is something you are not sure about, Foxfurd can help you in this regard too. So, if you are planning your dream conservatory this Christmas, even if it’s not for this year – please contact us for more information or visit our website for exciting ideas. When designing a new conservatory, you are not limited. You can choose to make your extension as traditional or as eclectic as you wish, with perhaps only the budget bringing any sort of cap on your ideas. Essentially you are adding an extra room to your home or property and as you go through the design process, lifestyle and family living requirements will obviously play a part in the direction you take. However, this “extra room” can be more than just that – it can be a space full of style and substance. Dining Room – A dining room is perhaps one of the more obvious choices, as you consider the best use for a new conservatory or orangery. The light and airy feel can make it a very pleasant place to enjoy a meal either with family or alone. If you feature large outward opening doors, this can give you an almost alfresco feel to your dining in the warm summer months. Kitchen – A kitchen extension is another popular idea. It may be suitable to extend your existing kitchen, essentially delivering a much larger space to exercise culinary skills, or it may be a case of hating your current kitchen and having a complete redesign in your new conservatory. The old room can then be transformed into an extra living area of your choosing. Office – Designed well, a conservatory can make a really good space to house an office. If you work from home, having an office crammed into a dark bedroom is not always conducive to a good working environment and if the office also doubles up as a spare bedroom, it can also be really inconvenient when you have guests and visitors to stay. Having a desk near the window can make the most of the extra light and views of the garden can potentially be inspiring. When it gets just too bright, a set of blinds will give you the requisite relief. Depending on design, not only should there be enough space for a workstation area but with a comfy sofa, coffee table and some chairs, there is scope to be able to relax during those important break times. Breakfast Room – I guess you could say this is another twist on the classic dining room theme but what a wonderful way to prepare for the working day ahead by enjoying a healthy breakfast in an environment with lots of natural light. With plenty of light coloured furniture, some plants and greenery, this could really help you to start the day with a sunny disposition. Beach Hut – If you are fortunate enough to live near the sea, then this is a particularly interesting idea, effectively filling your conservatory with beach themed furniture and decorations. If you are already blessed with a sea view, this room can be the icing on the cake and give you the feeling of a permanent vacation when resting here. If you live in the country (far from the coast) but have always craved being nearer the seaside, this theme can still be effective and perhaps you can add a little something to adorn your extension by bringing a trinket of some kind back from each visit to the beach. Family Room – It might be that you have already crafted a perfect kitchen and dining room but what you are really lacking is a room large enough for the whole family (children and grandchildren) to spend time together in. Effectively a multi-purpose space, where you can eat, relax, watch TV and host a family gathering in – somewhere warm and cosy to while away the hours on long, dark winter nights. This is perhaps a room where the chosen décor doesn't need to be quite as specific. Open Plan – Perhaps you live in a building of a certain period, when open plan living wasn't really on the agenda and you desperately long to introduce a little of this lifestyle into your home. A new conservatory or orangery is the ideal opportunity to embrace the open plan arrangement for yourselves. Whether it’s a large kitchen-diner, living room or a combination of both is entirely up to you as you go through the designing process. Décor and furniture can be as minimal as you like as you create your open plan area and revel in the new found space. Utility Room – Perhaps one of the more unorthodox uses for a conservatory, but if needs must then the extra space can be very handy to put in all those appliances that are simply taking up too much room elsewhere. There is often nothing worse than a cluttered kitchen, especially if it also serves as the dining room and finding somewhere for dishwashers, fridges, washers and driers can become a nightmare, so this specifically created room can become a very purposeful addition to your home. Personal Gym/Fitness and Exercise Room – If you are someone who prefers to exercise and get fit in private or simply don’t have the extra time it takes to get down to the gym after work, then designing your very own personal gym to be housed in your new conservatory could prove ideal. Not only can you ensure there is enough room for all of the equipment and exercise machines you will need but perhaps you can also install a fridge where you can get quick access to your favourite energy drink. A comfy chair or sofa to recline in while you get your breath back before heading for a shower will also make a good addition. Star Gazing Room – Perhaps more of a luxury than an actual purpose, but if you like to look at the stars – when night falls, switch off the lights, sit in your favourite reclining chair and get ready to have your breath taken away at the sheer scale of the universe above you, as you gaze through your glass ceiling. 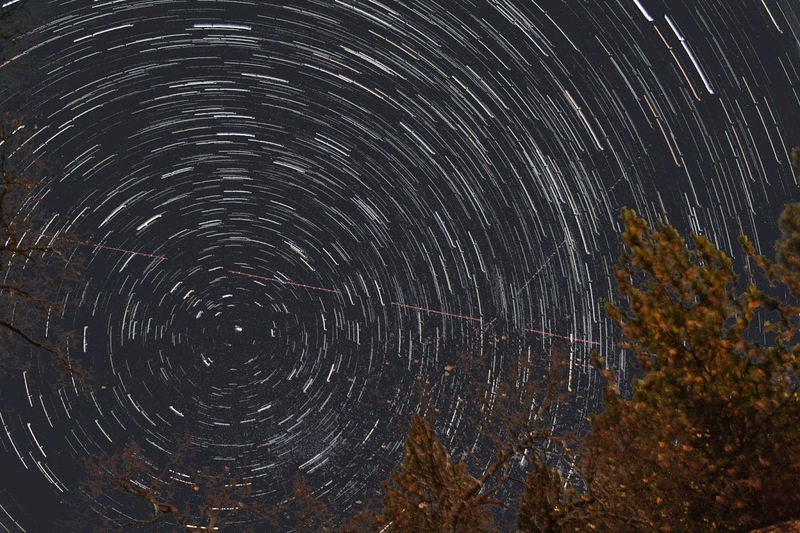 Particularly effective if you live in the country, where the night sky is less diluted by man-made light. 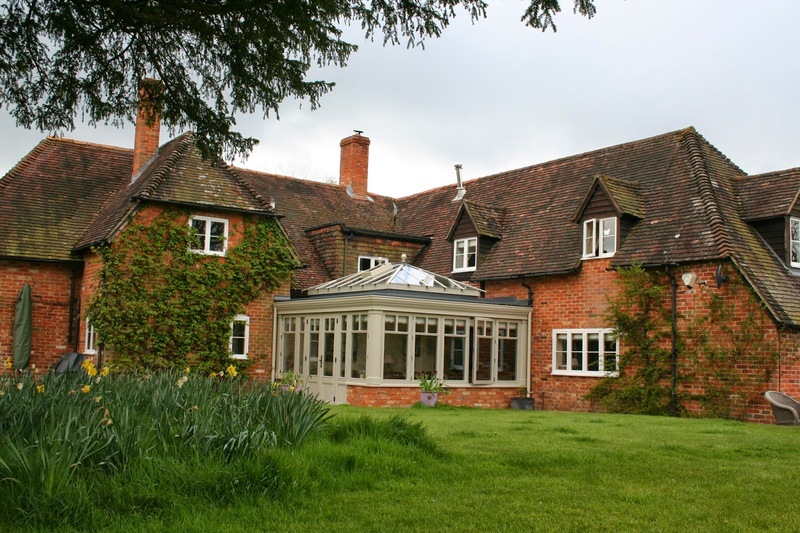 With the Foxfurd team, designing a new orangery or conservatory has never been easier. Contact us, tell us what you hope and dream your new extension will become and with your ideas and our expertise, we can ensure that your home or building gets the dynamic extra space it deserves. 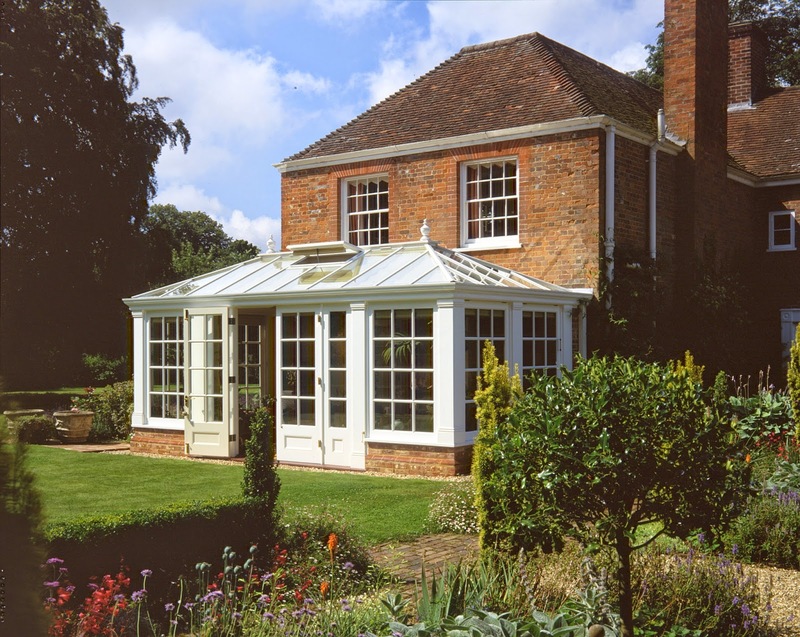 There are a variety of reasons for choosing to add a conservatory or an orangery to your home. You might simply be looking for more functional living space, you may be seeking to add value to a property or you might just want to improve the aesthetics of the place in which you live. It might be the case that you love your garden and wish you could be closer to it all year round and adding a conservatory is an opportunity to bring a more open feel to an area of the property as well as taking a step closer to the garden without leaving the house! Of course, conservatories and orangeries in general have taken huge strides in recent years, with underfloor heating providing more consistent warmth in the colder months and specialist glass and blinds helping to moderate temperatures in the hot summer months. It’s not simply a case of more space but it’s also very much about style and you can tailor your new living area to be exactly what you want it to be. It’s also an opportunity to explore open plan living in a property that perhaps has always been a little more enclosed. Working hand in hand with Foxfurd, you can realise your dreams, crafting and creating the perfect extension to your living space. Here are just a few ideas to consider if you long to be able to enjoy your garden from the relaxing comfort of your favourite armchair. The doors are a critical piece of the jigsaw if you want a conservatory that feels closer to the garden. They have the potential to either open a room right up or make it feel smaller and claustrophobic. Bi-folding doors are one option to consider, where the whole of one side of your conservatory or orangery (the side or front that faces the garden) is made up of these particular doors. Enabling you to fold back the doors on a beautiful summer day, can effectively merge indoors and outdoors together, breathing in the scent of the garden flowers and balmy air. In addition, the whole space will just feel much larger and of course much lighter, delivering a really contemporary atmosphere. Continuing the theme of having your living space reach out into your garden and grounds beyond, flooring can also play an important role. Perhaps you already have some existing decking outside and this can be utilised to great effect if you choose a flooring style of similar materials and colour. If the grain of your decking goes one way, choose a flooring solution that imitates the pattern and this will help to create the illusion of one continuous open space, flowing from the inside out. Any wall space you have remaining, once the glass and windows have been fitted can also be tailored to your particular specifications. Shades of green can help contribute to the “outdoors” vibe as well as being relaxing and easy on the eye as you spend quality time in your new room. Natural themes such as trees and flowers are currently very popular and therefore will work very well with your desire to embrace your outside surroundings. With rugs, cushions, curtains, blinds, lampshades, lamps and throws you can remain on topic and stylish at the same time. Indoor plants (either real or high quality fake) can also help with the theme, choosing pots that you like and that blend in easily. 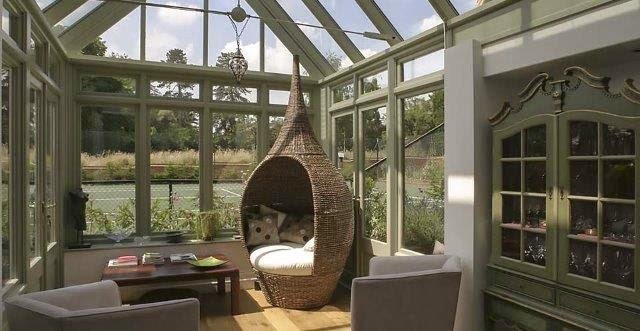 Rattan furniture can often be used both indoors and outdoors and could work really well in a setting like this with some of it being made specifically for conservatories, with sofas, chairs and tables populating the area. Of course, all of the above are simply ideas for one particular theme. With Foxfurd, you can design and then have built a conservatory or orangery in exactly the style you want – something that blends in seamlessly with your existing property. Please visit our main website for more ideas and inspiration. Welcome to the new Foxfurd blog! Over the coming weeks and months we hope to bring you all the very latest news from the team at Foxfurd, take a look at what you can do with your new luxurious orangery or conservatory and also dangle our toes into what is the wider industry as a whole. 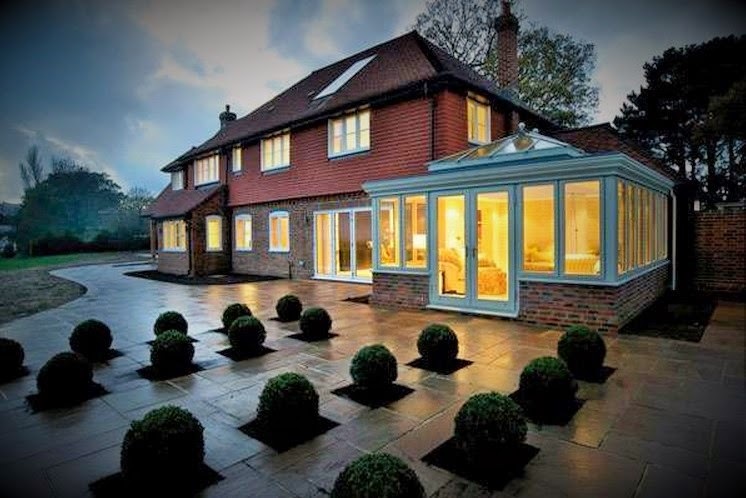 You can find out more about who we are over on our main website at www.foxfurd.com but by way of introduction, we are a small family based business with a vast amount of experience in designing and building luxury conservatories and orangeries as a genuine extension to your living space. Our products and our services are respected across the UK as we strive to put our customers and clients absolutely first. We believe that a job worth doing is worth doing properly and extending and enhancing your property is not only a big step but also a major commitment. It is for these reasons that our team will be there every step of the way – as we plan together (with you) exactly what it is you are looking for in your new orangery or conservatory. Are you looking for some extra kitchen space in order to be able to cook for all your friends? Are you needing some extra living space – perhaps a room to relax in or to let the kids play in? Or maybe you are simply looking to add value to your property! All of the above can be worked into your exciting new design. So, please stay with us as we explore the possibilities and the options available. Check out our latest news and of course feel free to head over to our main website, where we hope you will find inspiration and answers to your questions. You can also contact us regarding any of our services and we will be more than happy to help.